​The ​Overwatch League's stage playoffs are at complete odds with its divisions system, resulting in an incongruous format that harms competitive integrity. The Overwatch League is divided into two divisions, the Atlantic and the Pacific. Across the four stages in 2019, the teams play teams outside their division once and teams inside their division twice, for a 28-match season. Already this causes issues when divisions are not created equal in strength. Stages 1, 2 and 3 have a playoffs, with a seasonal playoffs at the end of the year. For a ​stage playoffs, the two division leaders and the next top six form the eight in contention. In concept, the stage playoffs are intended to invoke the feeling of a tournament, with four tournaments creating a circuit before the seasonal playoffs. In practice, this results in a tournament in which participants face off in extremely unbalanced groups and must qualify based on opponents of wildly differing caliber, best demonstrated with ​both ​LA teams. The most egregious case in Stage 1 is the Dallas Fuel against the Shanghai Dragons. Both are in the Pacific Division, and thus must play each other twice... and they happen to do so in back-to-back weeks. Imagine if, by some horrendous miracle, the Dragons were as equally incapable as ​their 2018 counterpart: the Fuel would have made off into the Stage playoffs like bandits with a hyper-inflated match score and map differential. Some have argued that this is a by-product of formatting the season as if the teams had travel times for home and away games, as was the original OWL conceit. Unfortunately, that does little to cover for the current system, in which teams must play in an imperfect system which affects their reputation and legacy. If the Stage playoffs remain as an OWL staple, as I hope they do to provide higher-stakes action throughout the season, then teams are currently having their opportunities to make history damaged through a faulty system. The divisions system separates the League based on geography. The playoffs system divides the League based on performance. Combined with the desire to reduce the number of games for health and logistic reasons, these factors create a scenario in which fair competition is placed lowest in priority. The goal of a tournament format should be to reduce variance as much as possible so that the eventual winners are as inarguable as possible. 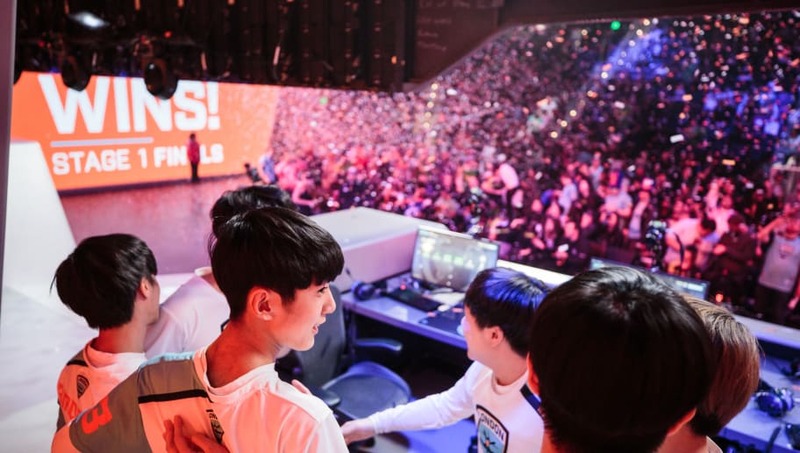 With other games ​like CS:GO continuing to improve their format, it is concerning that the Overwatch League's format for stage playoffs has only worsened in its self-contradictions. Images courtesy of Robert Paul for Blizzard Entertainment.